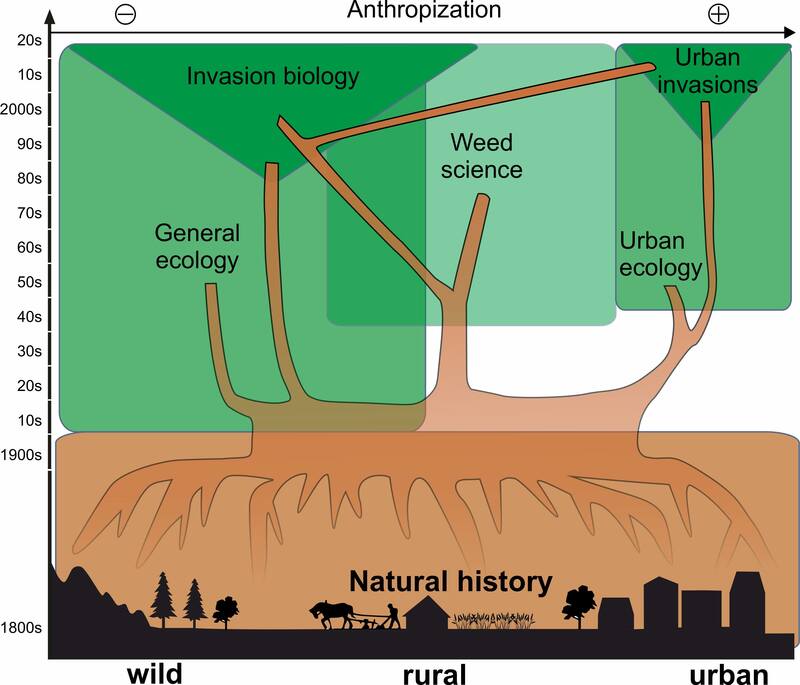 The historical roots of urban invasion studies across the rural–rural-wild spectrum. Fig. 1 in Salomon Cavin & Kull 2017. Kindly drawn by Lionel Cavin.